I wasn't always a fan of walnuts. As a kid, I would hate it if banana bread or brownies were studded with the nut. But as I grew older, like many of the things I disliked eating as a kid, I slowly began to like the nut, with its subtle sweetness and how incredibly flavourful it is when toasted. 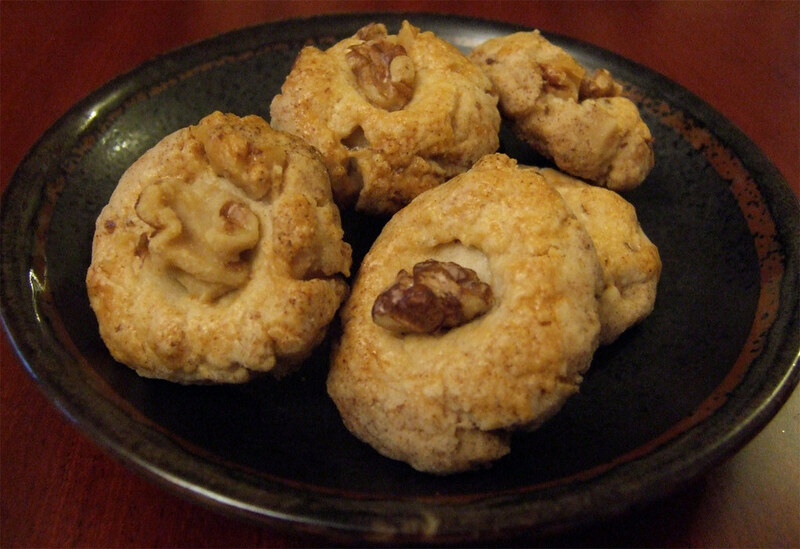 I made some Chinese Walnut Cookies ("hup toh sow") the other day. I fell in love with these cookies a few years ago during a trip to Hong Kong. 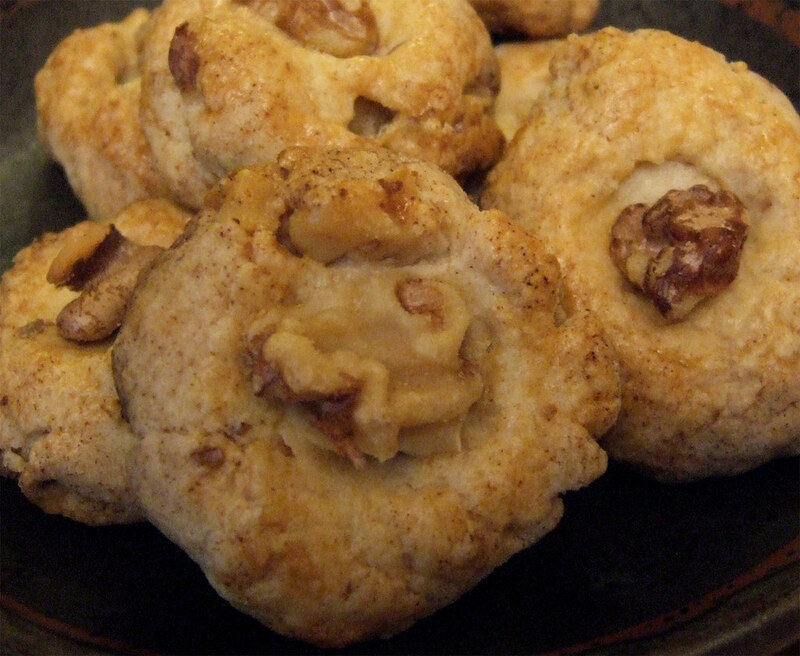 However, the cookies are quite deceiving as the commercial cookies you buy often don't contain any traces of walnuts. So why are they called walnut cookies? I myself have yet to figure out that mystery. But I decided to make mine a little less deceiving. I loved this recipe—a light and crispy texture I know and love about these walnut cookies, with the nutty sweetness from actual walnuts. Its a great recipe, and doubles easily. The only thing I would do differently is increase the sugar a little next time to make the cookies a bit sweeter. Interestingly enough, we Cantonese people have an affinity of taking nuts and grinding them into a hot dessert soup. 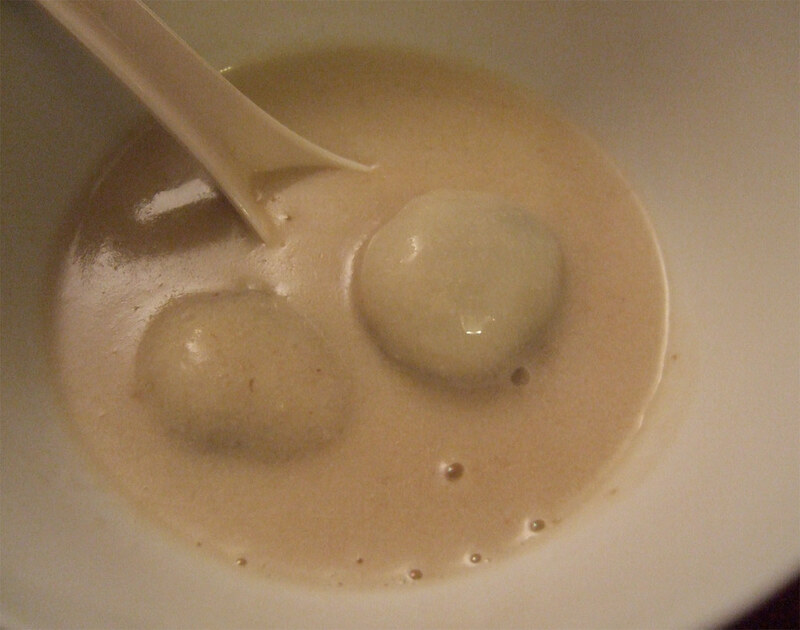 These dessert soups (糖水, "tong sui"—literally translated as "sugar water") is traditionally served at the end of a meal in Cantonese cuisine. There is a wide variety of "tong sui" out there, from sweet bean soups (my favourite is the red bean soup) to clear soups made with rock sugar and fruits or Chinese herbs. And then we get to the sweet nut soups, from black sesame, to peanut, to almond (my favourite! ), to walnut. 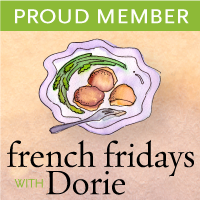 It sounds strange, I know, but it works, and so delicious and comforting at the end of a meal. The recipe is surprisingly easy to make and only requires a handful of ingredients. You can change the proportions of the ingredients according to your own personal taste. Add more sugar if you like things sweet. Add less water for a thicker consistency. Because it's Chinese New Year, and it's traditional to eat some "tong yuen" during this holiday, we added some homemade red bean dumplings to the soup. 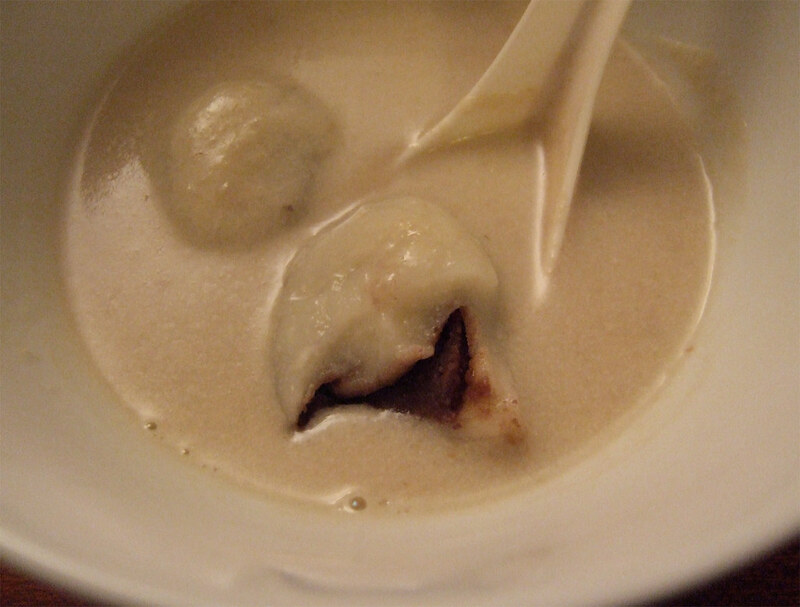 With or without the dumplings, you'll fall in love with this unique and subtle hot dessert soup. Rinse the rice under cold water a few times until the water is no longer murky and runs clear. In a bowl, soak the rice with room temperature water, bringing the water level about 1 inch over the rice surface. Set aside and let soak for at least 2 hours. In a separate bowl, soak the walnuts with boiling water, bringing the water level about 1 inch over the surface of the nuts. Set aside and let soak for at least 2 hours. When ready to cook the soup, bring about 5 to 6 cups of water to a boil along with 3 to 4 pieces of rock sugar (adjust level of sweetness to your own taste). As the water comes to a boil, blend the rice and water in a blender until liquefied. Set the liquefied rice aside. Repeat the same process with the walnuts and water. Set aside. When the water has come to a boil, add the liquefied rice and walnuts. Bring the pot to a boil, stirring continuously. When the soup just comes to a boil, turn off the heat and serve. Posted by Bonita at 5:30 p.m. The Casual Baker February 17, 2010 at 5:59 p.m. I adore soup and am totally intrigued by the idea of dessert soup. Especially one with dumplings (another favourite). Looking forward to giving this a go! simply.food February 18, 2010 at 11:39 a.m. Very interesting recipe.Nice cookies too.